I am the type of person who feels a lot more put together when my nails are painted and because of that I try to always keep them painted and without chips. One of the little girls I nanny for *always* notices when I've changed my nail color even when it was the slightest change from coral to pink. My mother is convinced that I have all of the nail polish I could ever need but I'm not sure she gets that as long as Essie continues to release new colors I will continue to eye them to see which ones I want to add to my already filled to the brim nail polish holder. Since the summer season is about to arrive I thought it would be fun to share some of my favorite nail polish colors with y'all that I find myself rotating through all summer long. 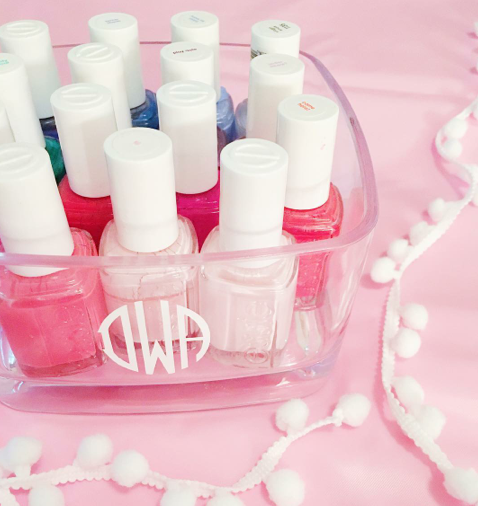 Since I love bright colors especially when decorating I like to keep my nail polish on display. It doesn't hurt that Essie has the cutest packaging in addition to great colors with fun names so the colors suitable for a given season are organized into this container on my bathroom counter. As for the first image in this post, if you follow me on snap chat you will have seen me talking about this fun lightbox over there. I think it is the most fun and whimsical piece and have already had so much fun changing the sayings and charging it up. I have included where I purchased it as well as the letter packs I have below so that you can shop those if you are looking to purchase one as well. I know that it will be a fun piece for my apartments living room and that it would be perfect for parties and other celebrations as well. 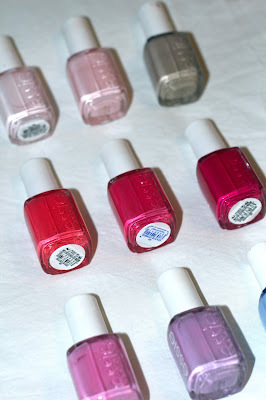 I totally agree about loving to have nail polish on- it makes feel more polished and put together! Your summer favorites are too cute! Essie Fiji is definitely my favorite nail color too! I also really love the light box, it looks so cool in photos. Such a cute post Dorothy! I love that little light up lightbox! It's such a fun touch!! Ooh lala! 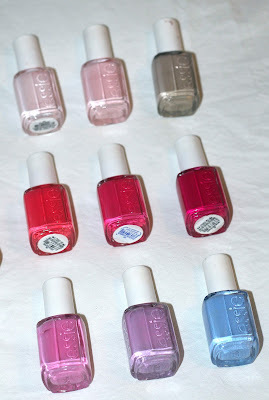 I love all these Essie colors, some of my favorite!